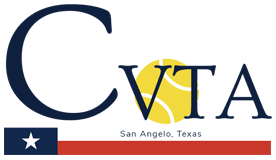 In collaboration with Concho Valley Tennis the Y aims to teach the lifelong of tennis sport to the San Angelo community. Learn the proper techniques essential for growth in tennis. $10.00 discount when you sign up for 3+ weeks! Join in the newest team sport to hit San Angelo. All players 18 and under are encouraged to join a team to compete with. Teams will compete against other teams in the Concho Valley. Divisions include 8U, 10U, 12U, 14U and 18U in beginner, intermediate and advanced divisions. Registration fees are paid through USTA. To register please submit a form to the Y. Contact Stacy Duffell for more information regarding team formation, play and more.